Warbler Woods/Embarras Ridges is two contiguous forest sites owned by Grand Prairie Friends and totalling 339 acres near the Embarras River. 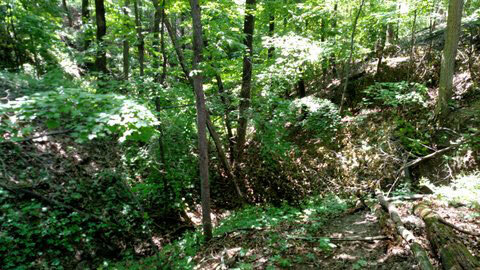 The landscape is partly steep slopes and ridges, and partly gently rolling ground. The forest is white oak, red oak, black oak and shagbark hickory, as well as sugar maple, basswood, blue beech and other species, and there is a wide variety of understory plants, with a minimal population of invasive species. Breeding bird surveys have found 57 species on the site. 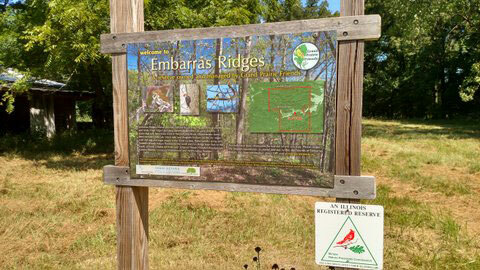 Warbler Woods/Embarras Ridges is part of a chain of protected conservation lands along the Embarras River stretching from Woodyard Conservation Area and Waterworks Hill Prairie on the north to Fox Ridge State Park on the south.